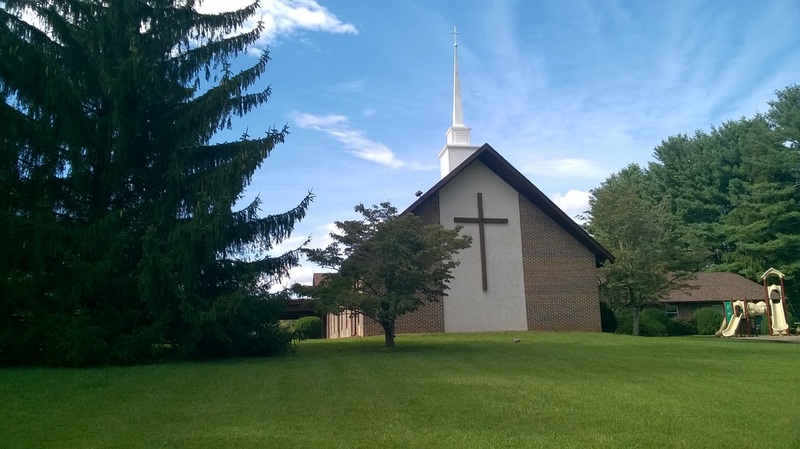 In the 1960’s the Montgomery Presbytery (now Presbytery of the Peaks) recommended that the Presbyterian witness in the Floyd area could be better served by a consolidation of the four congregations: Dillon’s Chapel, Harvestwood, Harris-Cannaday, and Floyd Presbyterian Church. The congregations merged and a new church, The Presbyterian church of Floyd, was organized on February 12, 1967. The site for the new church building was located a few feet from the original parsonage and Oxford Academy. Under the leadership of Reverend Robert Link, plans for the new building were agreed upon, and construction began in the summer of 1973. 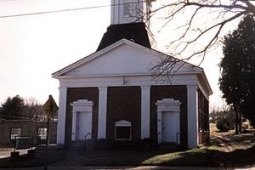 A final service was held at the old church building on September 1, 1974. The building is now owned by a Masonic Lodge. On September 8, 1974, the first service was held in the new building. Our church building today located at 169 Newtown Road, Floyd.